We take thousands of breaths every day. Yet we give little thought to exactly what we're breathing in. The Atmotube Air Pollution Monitor is a highly portable tool that aims to keep you informed of the quality of the air around you. It constantly checks for levels of volatile organic compounds and harmful gases like carbon monoxide, and pairs with a companion app to let you check the current air quality or track it throughout the day. 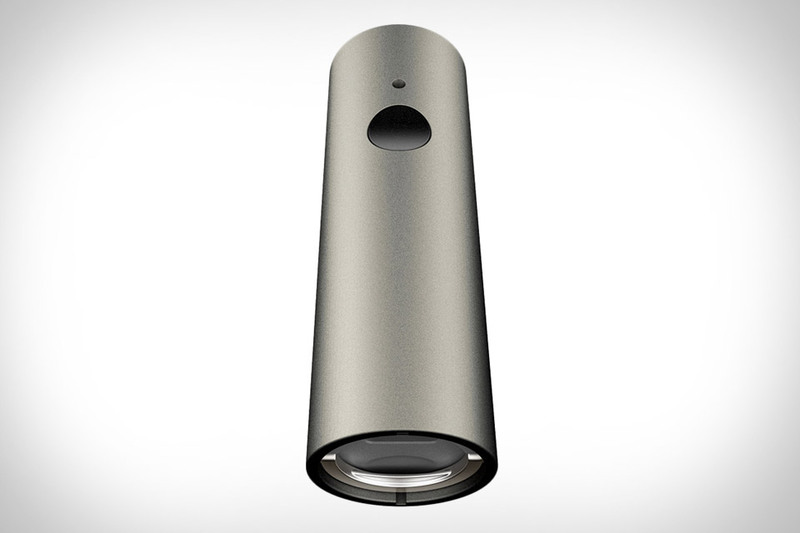 And with a cylindrical titanium body, it's one gadget you won't mind carrying around. You can buy nearly anything from vending machines — soda, ramen, headphones, and now, a new set of wheels. Located in outside of Nashville, the Carvana Car Vending Machine lets you buy a vehicle using nothing but a coin. A very expensive coin, most likely tied to a loan, but still. Insert your giant, personalized piece of change and a huge robotic arm goes up and grabs your car, then hands it off to another 'bot that drives it down a hallway to the pickup bay. 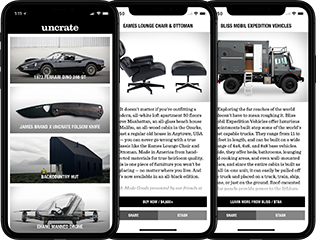 It's the most exciting car buying experience since the stunt driver took Luke for a test drive in Used Cars. You won't mistake it for anything coming directly from Cupertino, but the Golden Apple Macintosh Replica remains a fitting tribute to the original Mac 128K. By replacing the molded plastic body with hand carved American Walnut, it elevates the iconic design past that of a consumer product to something more permanent. The internals have been replaced with a modern Mac Mini, with the DVD slot accessible via the opening originally meant for floppy disks, and an LCD in place of the tube display. It's completed with a custom mechanical keyboard featuring gold-plated zinc key caps and a wireless walnut mouse, and is sadly not for sale. Solar chargers have been around for years. Unfortunately, they've never caught on quite like they should, in part because they tend to take up a lot of space. Thanks to a retractable, roll-out design, the HeLi-On Solar Charger does not. Its solar panel can be used to charge your device directly, or you can harness the sun's power to charge up the internal battery, which can then be used your gadgets even after the sun's gone down. Available in white or blue.